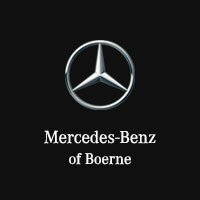 Mercedes-Benz of Boerne invites you to visit our fantastic Mercedes-Benz dealership near Boerne, TX. Our knowledgeable team members are ready to provide you with the best Mercedes-Benz sales, service, parts, and accessories in the Boerne area. If you’re looking for only the best offers on new & used Mercedes-Benz Luxury Cars & SUVs in the San Antonio area, then stop by today to test drive one of our latest models. We offer a great selection of new and used Mercedes-Benz Luxury Cars & SUVs. Stop by our upscale showroom to experience the full lineup of new Mercedes-Benz vehicles. This is without question one of the most impressive collections of cars & crossovers currently on the market. We offer an exciting selection of New and Pre-Owned vehicles like C-Class, GLE, CLA, as well as many other popular models. We have an equally impressive collection of Certified Pre-owned vehicles for you to consider. Many makes and models are available that look and drive like new. Our Finance Center has one goal: to get you approved for a loan in a fraction of the time and without any hassles. And our Service Center has the equipment, experience, and expertise to resolve any issue on any vehicle. Our dealership is also the area’s premier source for official Mercedes-Benz parts & accessories. We invite you to visit our dealership, meet our team, and discover just how much we have to offer. Even if you are not currently looking to upgrade your vehicle, it’s always worthwhile to form a relationship with a quality, trustworthy dealership. Visit us at 31445 Frontage Rd, Boerne, TX 78006, or call (844) 650-8056 today for Mercedes-Benz pricing, availability, service, parts, accessories, and more!